Sounds like a bad UK band, right? No, just some items in my sister's kitchen. 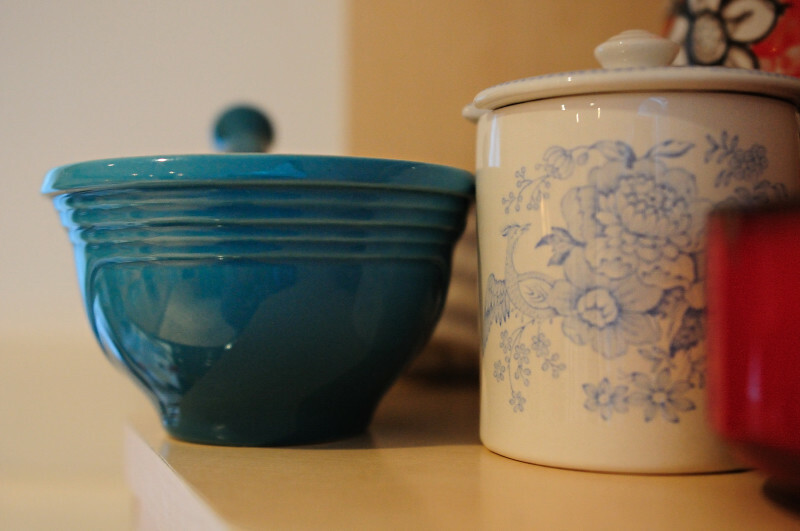 The mortar and pestle were used to make a mint relish and the sugar bowl was used daily with our tea and coffee. The design on the sugar bowl is very traditional in the UK, and I saw one in the Fortnum and Mason. I may buy one for my own use, since we don't have a sugar bowl, and getting sugar right out of the canister might be considered, um, yucky, to some.